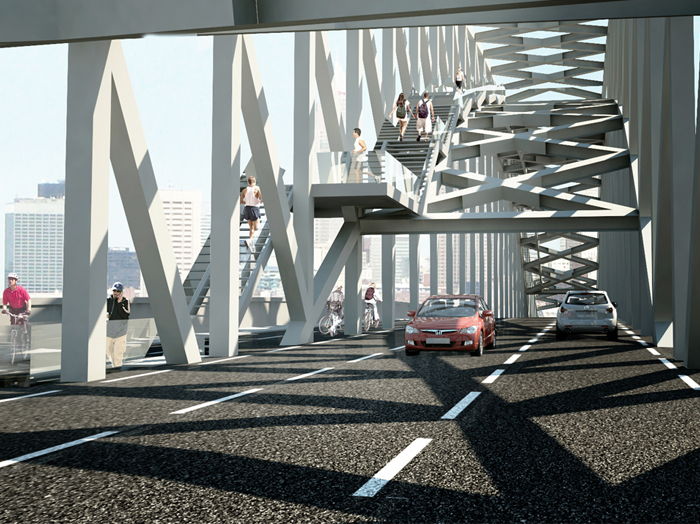 Archilier Architecture’s Bridgewalk is about making connections. 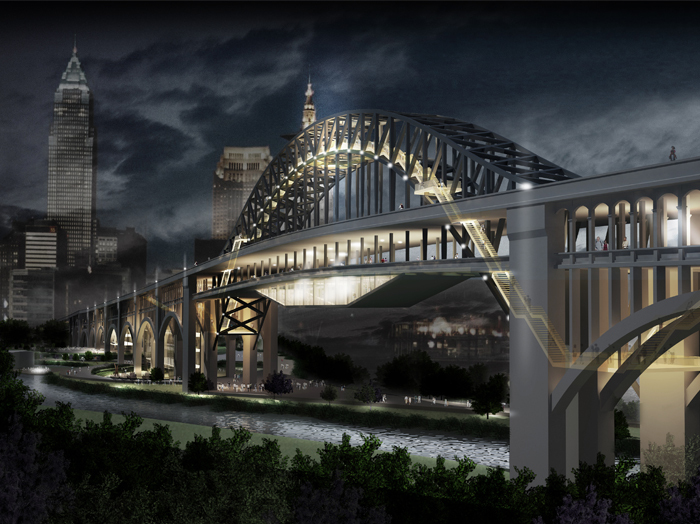 Not just a landmark structure, the Detroit-Superior Bridge is one of Cleveland’s most important urban ligaments, connecting Downtown Cleveland and Ohio City with key nodes like Terminal Tower, pro sports venues, transportation, the river, and parks. Bridgewalk transforms and enlivens this vital connective tissue by inhabiting it with a variety of year-round activities. 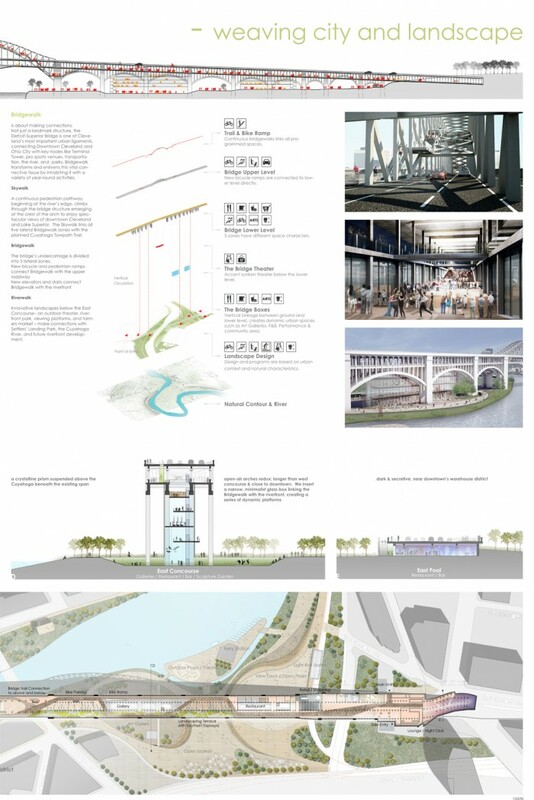 A continuous pedestrian pathway, beginning at the river’s edge, climbs through the bridge structure emerging at the crest of the arch to enjoy spectacular views of downtown Cleveland and Lake Superior. 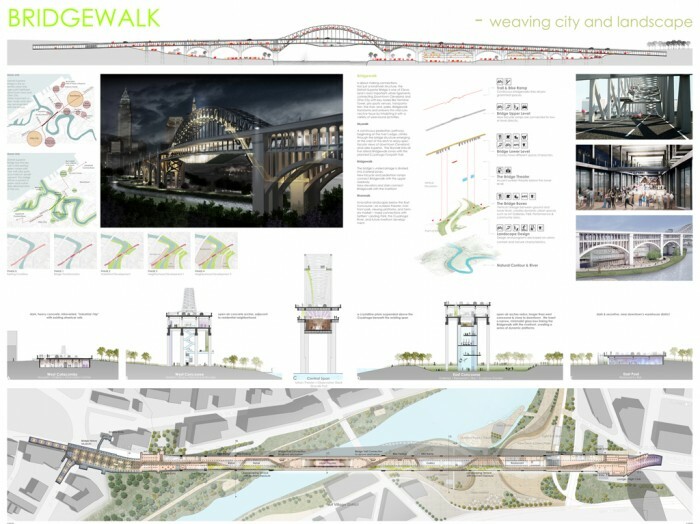 The Skywalk links all five lateral Bridgewalk zones with the planned Cuyahoga Towpath Trail. Character: dark & secretive, near downtown’s warehouse district. 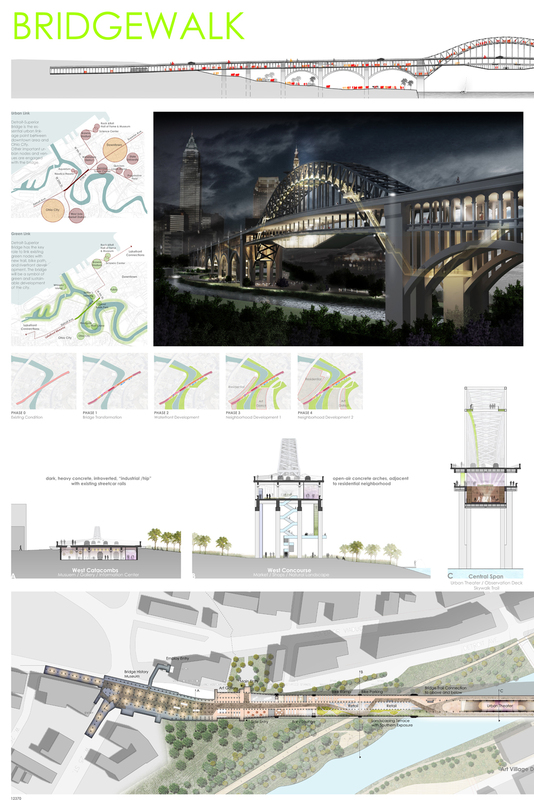 Innovative landscapes below the East Concourse– an outdoor theater, riverfront park, viewing platforms, and farmers market – make connections with Settlers’ Landing Park, the Cuyahoga River, and future riverfront development.